“But we are ready to talk about establishing a new mechanism that would replace the JIM and do the work in … a truly professional and objective’ way,” he said. Russia vetoed two council resolutions last week to keep the JIM in operation, and this week it rejected a Swedish-Uruguayan draft resolution before it went to a vote to revive the joint investigative body of the UN and the Organisation for the Prohibition of Chemical Weapons. At the heart of the dispute is Russia’s demand for major changes in the way the JIM operates, and the insistence of the US and about 10 other council members that its independence and operation remain unchanged. Russia has been highly critical of the JIM’s findings that the Syrian government, its close ally, used chlorine gas in at least two attacks in 2014 and 2015 and used the nerve agent sarin in an aerial attack on Khan Sheikhoun last April 4 that killed about 100 people and affected about 200 others who survived. The JIM also accused the Islamic State extremist group of using mustard gas in 2015 and again in September 2016 in Um Hosh in Aleppo. 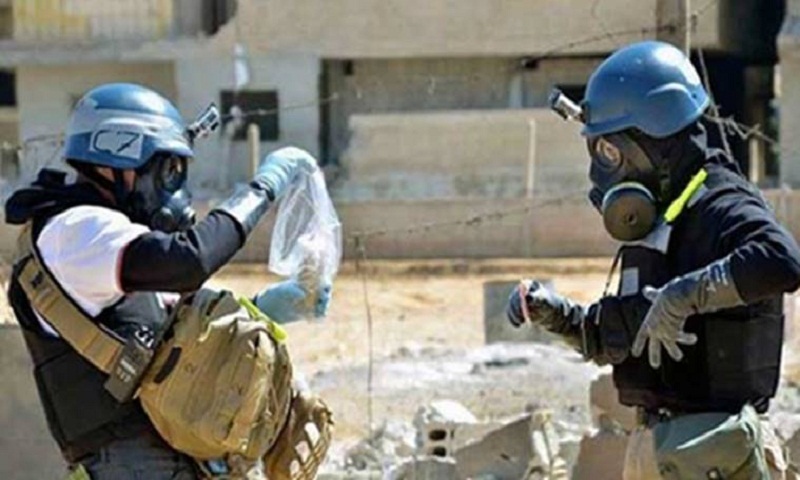 The OPCW, the international chemical weapons watchdog, has the job of determining whether chemical weapons were used in Syria, and it is currently assessing and investigating numerous allegations. But it is not mandated to determine who was responsible for chemical attacks, which is why the US and Russia jointly sponsored the resolution in 2015 that established the JIM.